Goodness!…..I don’t even know where to begin with this post except to say that I feel so honored and privileged to have been able to spend the afternoon with my friends Stacey and Daniel capturing these photos for them. If you read my engagement story two posts down, then you’ll know that Stacey & Daniel were the ones that got engaged 2 days before us. It has been so fun going through the whole wedding planning process with Stacey…..especially since she is so much more on top of things than I am and she keeps me on track. 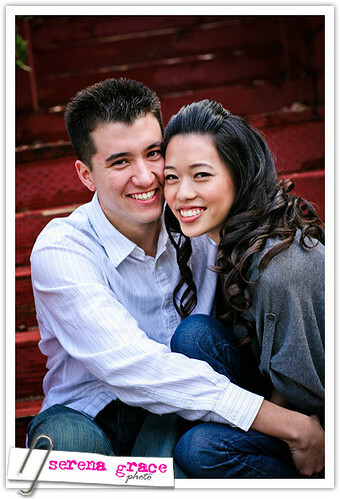 She and Daniel are getting married next month and I couldn’t be happier for them! Stacey and I started the afternoon off with a make-up trial with the fabulous Mrs. Caramel from Weddingbee (more on that in another post). It had been raining all morning, but as we finished getting our hair and make-up done, the rain stopped and the sun began to peek through the clouds. At Jeremy’s suggestion, we headed over to Devil’s Gate Dam…..and wow….I really can’t thank Jeremy enough for suggesting it (and for coming along as “Creative Director”). Everything worked out so beautifully…..from the weather to the lighting to the rainbow at the end! Just when I thought the shoot couldn’t get any better…..a rainbow appeared!! wow! i really love the rainbow!! the settings are very beautiful too! i love the colors/emotions!! That shoot was really fun...even though I was a portable coat rack for most of it. how cool that you caught the rainbow! whatta cute couple. great job once again =) I 2nd lemonifresh's comment! 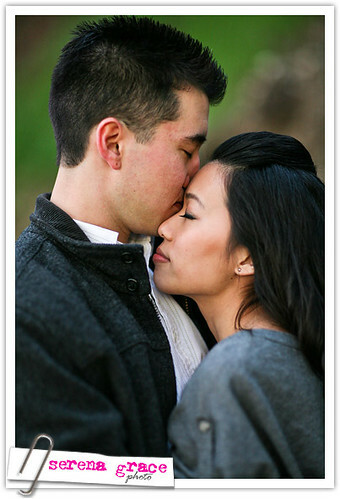 especially love # 11 and 13. beautiful shoot. Very nice shots. 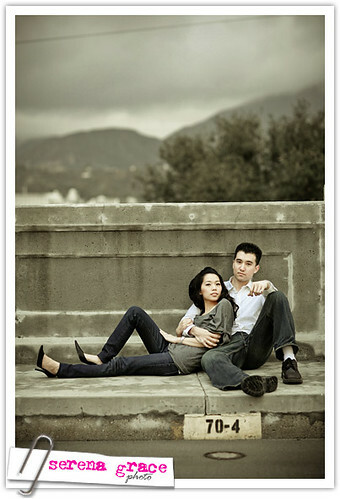 I like the last one, how you framed them with the leaf-less tree in the background. Do you think you could make that tree whiter so the contrast is better? Is Daniel hapa? I kinda get that sense when I look at his face. well done serina!! love the colors. great work serena! lovely looking couple! @Launate - which shot? 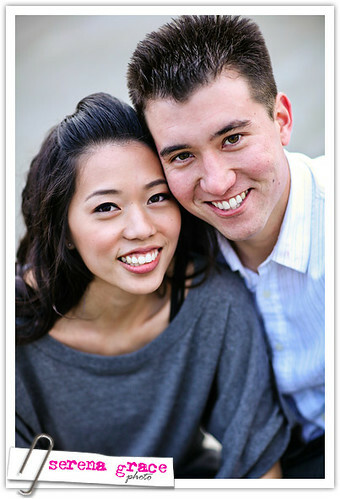 and yes, daniel is hapa. he's half white and half japanese, i believe. @chooah - haha....i was wondering that too. and then i saw your second comment. @saphoto - thanks steve! one of my favs too! 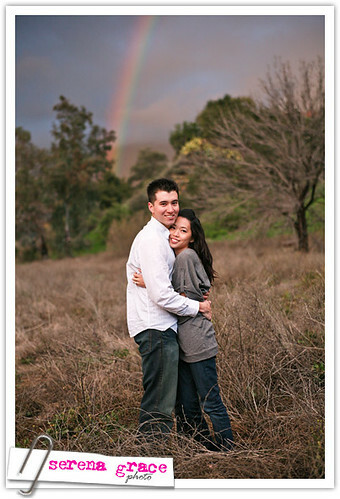 @pinkchick83 - The last shot, with the couple standing out in the field and the rainbow curving over them. 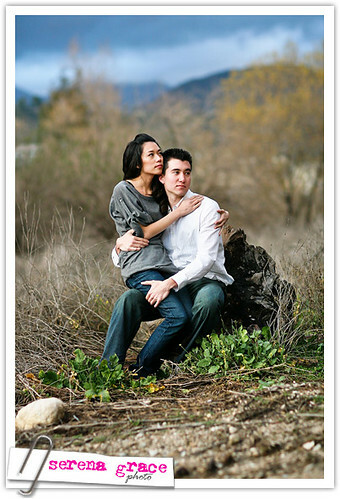 I notice that they are framed by the leaf-less tree in the background. 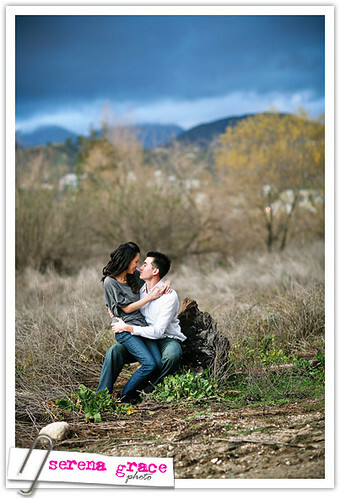 If you could lighten the branches of that tree, that might give better contrast to the couple in front. Right now, the leafless tree is more subdued. I think I like that. It draws the eye to Daniel's white shirt. From there, the lighter color of the tree subtly creates a path for the eye to lead up to the sky and the rainbow. To me, it works better for the whole composition to not lighten the tree. However, if the composition didn't have the rainbow, and was cropped tighter around the tree, delineation between the people and the background might help. my fav is the sihoulette. stunning. whoops...he's actually half white and half chinese. these are seriously off the hook beautiful! 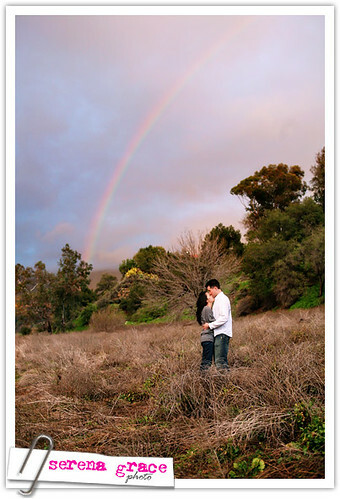 I can't believe the rainbow, but the whole shoot is creative and full of emotion - LOVE your work!! !